I first read this when I was eighteen for one of my university classes. I read it really, really fast and I remember that I was quite bewildered by it. Was this the same story of the passionate ‘romance’ between Heathcliff and Cathy? Romance might have been the wrong term. The second re-reading brought up so many more layers and aspects to the novel that I didn’t see before. Set in the isolated Yorkshire moors, Wuthering Heights begins with Mr. Lockwood, a Londoner who have leased Thrushcross Grange to escape the hustle and bustle of city life. Lockwood comes across Wuthering Heights and is met by the rude and grimacing inhabitants of the household – Heathcliff, Catherine and Hareton along with the two grumbling servants Joseph, a religious old man, and Zillah the housemaid. When a severe snowstorm forces Lockwood to insist on staying the night at Wuthering Heights, much to the reluctance of the inhabitants who are indifferent to the safety of Lockwood, Zillah allows Lockwood to quietly stay in one of the old rooms upstairs. Lockwood finds variations of the name ‘Catherine’ scratched upon the window sill – Catherine Linton, Catherine Earnshaw, Catherine Heathcliff – and during the night Lockwood has a nightmare about a ghostly Catherine who begs him to let her in. Once settled at Thrushcross Grange, Lockwood is told the entire story of the two doomed families who once resided in the two estates by the maid, Ellen Dean, who grew up and served at Wuthering Heights with Cathy and Heathcliff and later at the Grange. She recalls the night the elderly Mr. Earnshaw brought back an orphan he had found on the streets of London whom he later christens Heathcliff and who quickly becomes Mr. Earnshaw’s favourite. 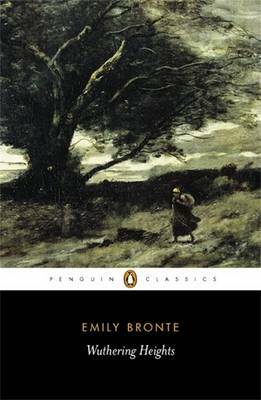 This brings friction into the household particularly between Hindley, Cathy’s elder brother, while the short-tempered Cathy and Heathcliff quickly form a passionate and fiery bond which continues into their teenage years and, really, for the rest of their lives. Despite his almost psychotic passion towards Cathy, Heathcliff holds no mercy for the second generation of the Lintons and Earnshaws including Cathy’s own daughter, Catherine, and carries on his plan for revenge. Throughout the story, I found almost all the characters unlikeable – Cathy hot-headed and selfish and Heathcliff brutish, violent and misanthropic. Each had very few redeeming qualities. The whole area of Wuthering Heighs and Thrushcross Grange is so isolated that we don’t hear about or from anybody from the outside except Mr. Lockwood. It is such an insular community and the slightly incestuous relationships between the two families that it made me ask who did Cathy want to impress by marrying Edgar and gaining a title? The second reading of Wuthering Heights was well worth it. Joseph ‘s Yorkshire accent still frustrated me because of the constant flipping back and forth for the translation but it was only for a small portion. With such unusual characters (and names) and such an unconventional passionate relationship, it leaves you slightly boggled. I wonder if Emily Bronte ever experienced such a passionate and brutish relationship. My reaction on my first reading was not unlike yours. I just couldn’t sort out why it was considered a romance, but the second read won me over. It is a fascinating book, full of despicable characters, but so compelling. I think I have a hate/love attachment with this book. It’s hard to get involved with it. The passion wants to rip my eyes out of my head! I have not read the book but have seen the BBC production. Got very frustrated with the characters, didn’t like any of them. I’ve been considering checking out one of the adaptations but the versions seem quite average. The characters are very unlikeable but the story and the connection between the characters is what is so interesting. I’m glad you found the second reading to be rewarding – I think I was fortunate not to read it until I was 22! The characters are definitely on the intense side, but as you pointed out, some of the writing is absolutely exquisite. Hm, yes, I think if one first read it at a more mature age, it would have left a better impression! I’m in awe of those teens who take an instant spark to it!